Barrie, ON– Barrie Colts General Manager & Head Scout Jason Ford announced today that Defenceman, Nathan Allensen has committed to the team and has signed an Ontario Hockey League standard player agreement. “We are pleased to welcome Nate Allensen to the Barrie Colts family” said Colts General Manager Jason Ford. 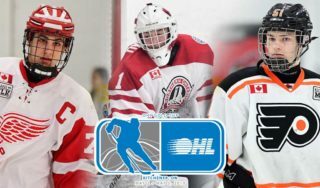 Allensen, 16, played last season in the with the Waterloo Wolves Minor Midget club, where he appeared in 32 games, tallying 10 goals and 30 points. The Barrie Colts selected the Waterloo, Ontario native in the 2nd round (32nd overall) in the 2017 OHL Priority Selection draft. 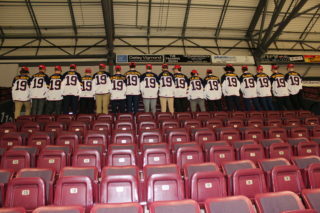 Barrie Colts training camp will begin on August 29th at the Barrie Molson Centre. Our Blue and White game will be held on August 31st @ 6pm.